The much-anticipated summer evenings are finally here at The Liberty and we are looking forward to long summer evenings catching the last of the sun’s rays in the garden (providing the great British summer is kind…here’s hoping!). 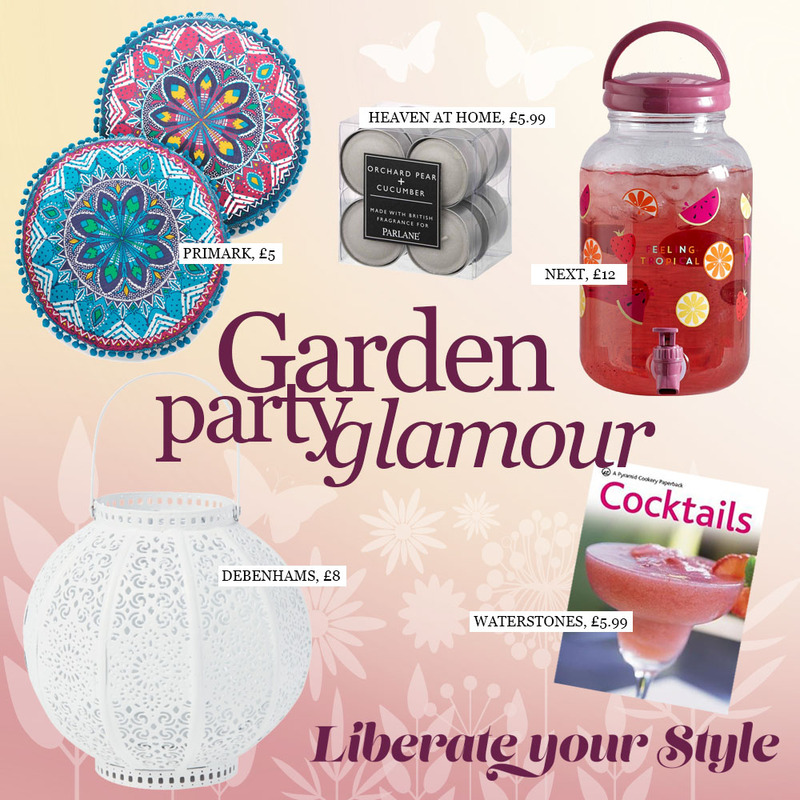 An al-fresco party is the perfect way to while away a sunny afternoon with your nearest and dearest and thanks to the fantastic stores here at The Liberty, you can find everything you need for a Instagram-worthy garden party. So if you want to transform any outdoor space into a summertime haven for the day, you can be sure our 100+ shops have you covered. What is a garden party without cocktails? Get some inspiration from this comprehensive cocktail recipe book (£5.99) from Waterstones. From classic favourites to mocktails or more innovative flavour combinations, this guide covers it all and will having your cocktail shaker moving in no time. This funky drinks dispenser (£12) from Next will ensure that your summer punch is flowing all day! Fill it to the brim with your favourite fruity concoctions and enjoy. The matching sharing platter (£10) is also a must for serving up party snacks. The Liberty Top Tip: Want to enjoy your evening without the looming dread of washing up a mountain of cutlery and plates? Fear not! A pretty set of white and gold paper plates (£2) from New Look will keep your evening stress-free. They also sell matching cups! Tea lights are the simplest yet most impactful way to create an atmosphere. Heaven at Home’s orchard pear and cucumber tea lights (£5.99) provide a lush, fruity fragrance that will complement a balmy summer’s evening. Place them in little lanterns, such as these gorgeous Matthew Williamson tea-light holders (£10) from Debenhams, for instant boho-chic ambience. To continue the boho lovin’ theme, these paisley quilted throws (£17) from Primark will make a gorgeous addition to any summery set up. Drape them across garden chairs and use them as cosy blankets when the evening sets in. Pair with Primark’s cute mandala pom-pom cushions (£5) for the ultimate relaxed vibe. These stunning copper dragonfly garden (£15) lights from M&S look beautiful entwined around tree branches and in bushes. Enjoy their relaxing glow with guests as the evening draws in. For more fashion and lifestyle inspiration, head to our Facebook, Twitter or Instagram pages.